Brian Terrill's Small-Screen 66 - #64: "Dr. Quinn, Medicine Woman"
This may be a short post. I know those six words tend to sound the death knell of any chance at brevity here. But the fact is I have a bit less to say about this show than some of the others. If we do end up “under quota” wordcount-wise, feel lucky. As with the Film Favorites, posts in this Countdown will likely get longer as we move forward. Like Hercules and Xena, Dr. Quinn, Medicine Woman is one of the earliest TV shows I remember regularly watching. The show was a double whammy: both a western and a medical drama. Even more than either of those, however, it was progressive. Let me explain why, via bulletpoints. -is a woman doctor IN THE 19TH CENTURY. Over the course of the series, Dr. Quinn also pursues a romance with Sully, a hunky hermit who lives on the outskirts of town and is ostracized by the rest of the community because he’s half-Indian, or was raised by the Indians, or something. In the pilot she adopts three orphaned children. That may be worth a few progressive points too. But progressiveness alone isn’t what earns Dr. Quinn a spot on the Countdown. The show has stuck with me primarily because of two particularly powerful episode endings. In “Brother’s Keeper” (S4,E4), Dr. Quinn’s younger son’s dog gets rabies from an infected raccoon. Though Dr. Quinn quarantines the dog, it still manages to bite her older son’s fiance (the girl entered the pen to give the dog water). 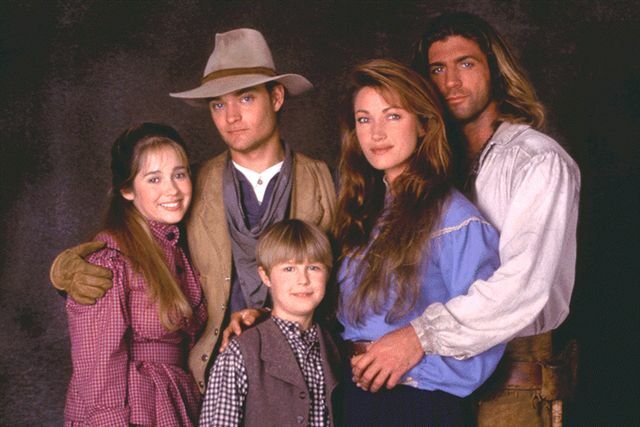 For years, we’d seen Dr. Quinn pull off one seemingly miraculous cure after another. But in this case, the good doctor flat-out tells the girl that nothing can be done. If she did indeed catch rabies from the dog, she’s going to die. Period. And she did catch it. So she does die. After protracted periods of intense writhing and gnashing of teeth. It was probably the first episode of any show I had seen where the protagonist has no choice but to say, “There is literally nothing I can do to fix this situation.” It was devastatingly sad. Also, rabies in a human is hella scary. Dr. Quinn also introduced me to an important television trope. “Moment of Truth, Pt. 2,” the final episode of Season 5, ends with Sully falling off a cliff. He falls off a cliff, and it ends. Not just the episode, but the entire season. Seven-year-old me was perplexed: How could it end there? Why didn’t they show what happened to Sully? My dad said it was something called a “cliffhanger,” and I thought it was bizarre that cliff-centric endings were common enough to warrant their own special name. Four months later, Season 6 rolled around, and I finally understood what he meant. We found out Sully’s fate (he was alive, but with grotesquely splintered leg-bones), and my first ever cliffhanger was resolved. And if you’re curious about the show’s resolution as a whole, Dr. Quinn and Sully get married about halfway through. And in the final TV movie that wrapped the series, Michaela’s now-grown daughter graduates from Harvard and becomes a woman doctor, too. Tidbit: The “wolves” the Quinn-Sully-Coopers kept as pets were actually played by malamutes. The main wolf (simply named “Wolf”) was typically played by a dog named Cody, who was so gentle and docile that he required a “double” for barking and growling scenes. Brian Terrill's 100 Film Favorites - #49: "Shrek 2"